Dr. David Ramirez earned his Doctor of Dental Surgery degree from the University of Texas Health Science Center, San Antonio in 1992, with honors in clinical excellence. Following graduation he moved to San Francisco where he successfully completed a two-year Advanced Education in General Dentistry Residency at the University of California, San Francisco, with an emphasis in TMJ disorders, implants and cosmetic dentistry. Dr. Ramirez has further served as a full-time faculty member at Northwestern University, School of Dentistry in Chicago as well as an associate and fellow at their prestigious Faculty Practice. He remained in private practice since his move back to San Francisco and continued on as a Quality Assurance leader for California’s largest dental insurance company, Delta Dental. His advanced qualifications and achievements, led the Dental Board of California to elect him as one of their Expert Consultants. 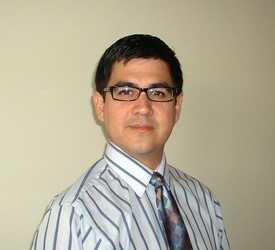 Dr. Ramirez is also Invisalign certified. Currently, Dr. Ramirez also serves as a clinician in the post-graduate division at the UCSF- affiliated state of the art VA Hospital in San Francisco. Dr. Ramirez is an avid golfer and has enjoyed national ranking as a tennis player. His other interests include assisting in animal welfare, taking long city hikes and exploring the Bay Area's epicurean delights. Dr. Katy Karimi holds a Doctor of Dental Surgery degree from Northwestern University, School of Dentistry in Chicago. Following her certification in Branemark dental implants restoration, she completed an Advanced Education in General Dentistry Residency at the University of California, San Francisco, with an emphasis on TMJ disorders, oral medicine, and surgery. She has further obtained a training certificate in Oral and Maxillofacial Surgery as well as a Fellowship degree in Hospital Dentistry from the University of Illinois, College of Dentistry in Chicago. Dr. Karimi was elected as a full-time Assistant Professor at the University of the Pacific, School of Dentistry in San Francisco. She is also a published and cited author in dental literature mainly on the topic of alternative remedies and their impact on dentistry. Besides the private practice of dentistry, Dr. Karimi has functioned as a senior quality assurance and improvement consultant within a major insurance company in San Francisco. 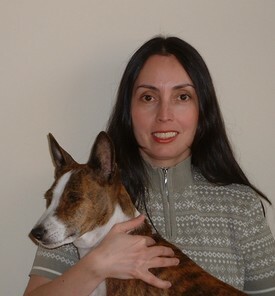 In her spare time, Dr. Karimi is a patron of the arts and a devoted activist for animal rights and welfare. Once certified as a personal trainer by the National Association of Sports Medicine, fitness continues to remain a hobby. She is also a connoisseur of culinary arts and linguistics, thanks to her upbringing in France.